To be able to apply for the NIE in Barcelona (in the main office in Rambla Guipuzcoa, 74) you will first need to schedule the “cita previa“. Cita previa for NIE means the previous appointment in the immigration office in Barcelona. On their website: https://sede.administracionespublicas.gob.es/icpplus/citar, you can schedule your NIE appointment without many problems if you know some Spanish. From the fist window choose: Barcelona and from the second one: Certificados UE (if you are EU passport holder). After filling out your personal and contact information details, dates and times will be given for you to choose. Appointment confirmation will be sent to your e-mail address if you tick the little boxes before the final confirmation. If this happens, the only thing you can do is to wait until the immigration office schedules new dates or if you need your NIE urgently, you can contact us and we will help you to get the cita previa for shortest possible time. We can also help with another types of procedures like fingerprints “huella”, prorroga, EU family member (familiar comunitario), or autorizacion de regreso. 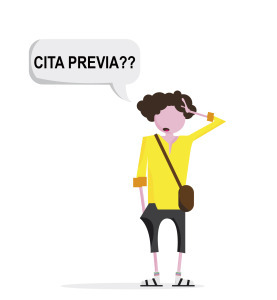 NIE Barcelona can schedule the CITA PREVIA for you – please contact us by e-mail or application form.